Hi. 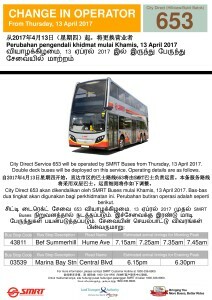 SMRT Buses will take over CDS 653 wef 13 April 2017. 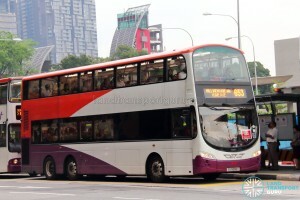 Using Double deckers. 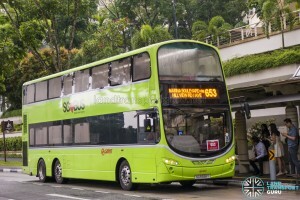 So is SMRT buses deploying PA/PC-plate buses, SMB-plate or SG -plate buses ? 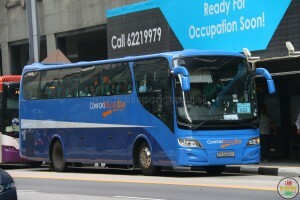 PC-plate buses need COEs. 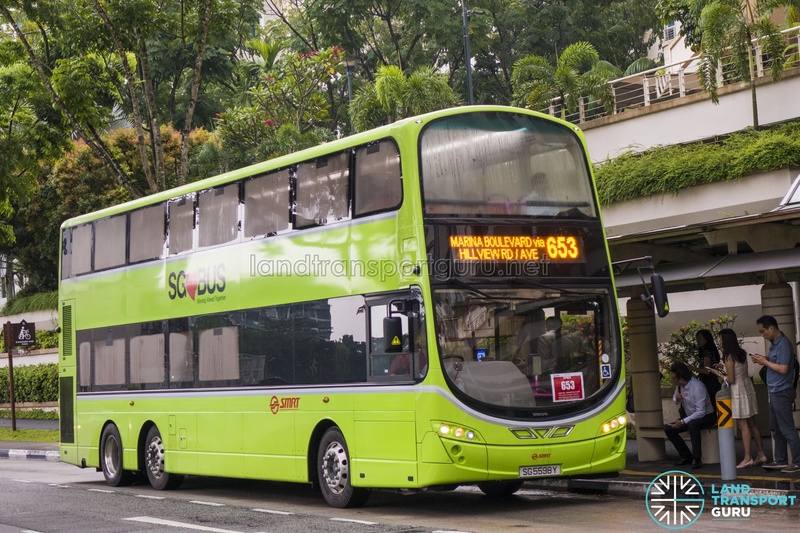 No COE is required for SMB- and SG-plate buses. 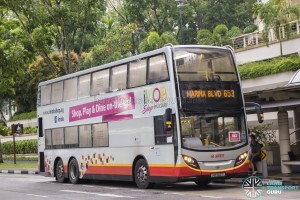 The posters show SMRT DD buses. Can tender meh ? 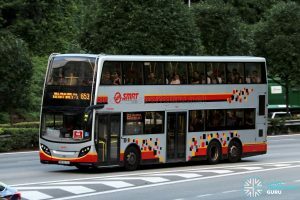 SMRT will be deploying SMB or SG plated buses (Alexander Dennis Enviro500 / Volvo B9TL Wright) for 653. 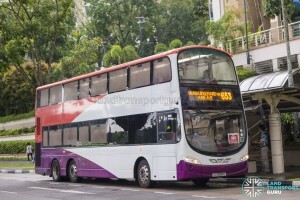 This arrangement for Public Transport Operators taking over City Directs is by LTA. 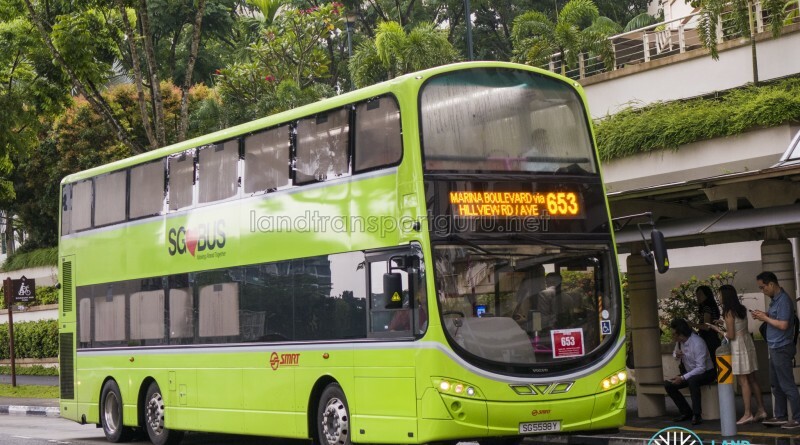 Hi, is City Direct 653 cease operation on 14th April 2017? 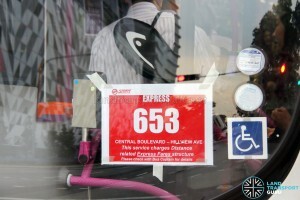 If yes, any new premium bus service from Hume Ave to CBD? Thanks! 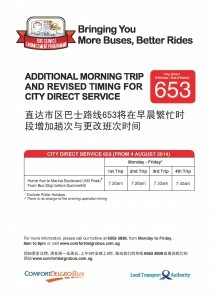 Look out for a new operator for City Direct 653 coming soon! 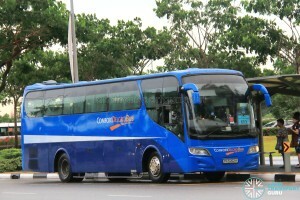 Hi, is City Direct 653 operating contract for ComfortDelgro Bus Pte Ltd not extending? When is the current contract ending?? 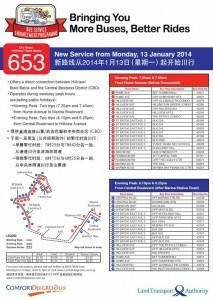 The bus takes an estimated duration of 15 mins (subject to traffic conditions) from the first stop to Blk 283.